It appears The Las Vegas Strip is gonna be the spot this Halloween weekend. 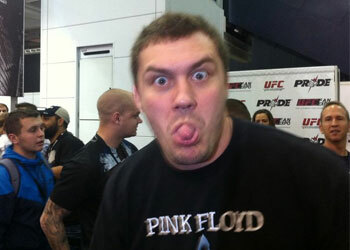 ESPN is reporting a heavyweight shootout between Matt Mitrione and comeback kid Cheick Kongo will go down October 29th at UFC 137. Kongo, on the other hand, holds a 16-6-2 record and was last seen performing in the most dramatic fight of the year. After getting battered by Pat Barry in the open ticks of their match last month, Kongo miraculous rose from the brink of defeat to knock Barry out cold. UFC 137 takes place inside the Mandalay Bay Events Center in Las Vegas, Nevada. A welterweight title fight between champ Georges St-Pierre and Nick Diaz will headline the pay-per-view broadcast.